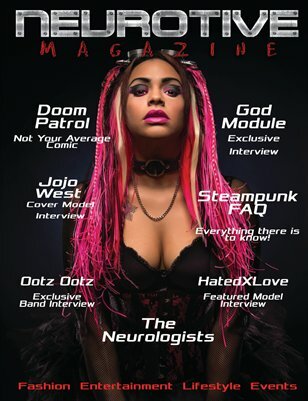 Neurotive Magazine is for those who are part of the alternative community. The magazine has a commitment to be a platform to profile artists who are representing artistic vision in the marketplace and who can both encourage and provide role models to other men and women. The magazine will be a vessel to inform the community about alternative lifestyles, fashion, entertainment and current events. Our mission is to promote the concept of alternative lifestyles all over the world.